Stay ahead of the cold and flu season with Vitamin C 1000 mg Timed Release. Support your immune system and help fight the cell damaging free radicals that can lead to oxidative stress and the premature aging of cells with Vitamin C. Our Vitamin C 1000 mg Timed Release with Protective Bioflavonoids & Wild Rose Hips is specially formulated to provide a gradual release of Vitamin C over a prolonged period. Directions: For adults, take one (1) caplet one to two times daily, preferably with meals. Other Ingredients: Vegetable Cellulose. Contains <2% of: Glycerine, Silica, Vegetable Magnesium Stearate, Vegetable Stearic Acid. Vitamin C 1000 mg. Timed Release is rated 4.8 out of 5 by 21. Rated 5 out of 5 by TallQueen from High Quality Product Great product that I like. Rated 5 out of 5 by cricket from Good product I love the fact that they are time-released, as Vitamin C is a very necessary vitamin for everyone to take - especially older people like myself. Rated 5 out of 5 by Anonymous from Excellent Product I take 2,000 mg 5 days a week which keeps me healthy. Rated 5 out of 5 by Caren from Coated so easy to swallow I have a hard time finding coated and time release Vitamin C. I absolutely cannot choke a noncoated Vitamin C down. The size, coating, and strength alone recommends it, but being time released is a bonus. Highly recommend! Rated 5 out of 5 by Lee from Very Good for my Health I've been caring for my health with vitamins, minerals and herbs for over 40 years and my doctor tells me that I'm in excellent condition for my age and seem more like a 65-year-old man. I will be 80 in five months and feel good. 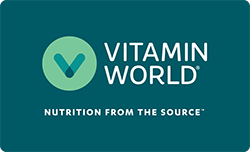 Rated 5 out of 5 by Piggyanny from Valued product I once bought this when I went to the U.S., and I tried out other product later last year, but I don't know, I just feel like Vitamin World has great quality, and the product comes in a valued pack. There is no reason not to continue purchasing this. I found the pills are a bit too big, it is not easy to swallow, hope you can fix that.